Born: March 1, 1888 in Pocasset Ma. 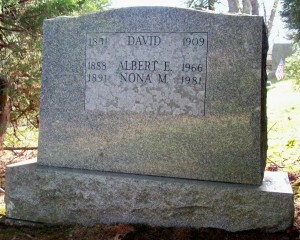 Died: April 1966 in North Falmouth Ma. 1. David Landers; David was born in North Falmouth Ma. & died young.